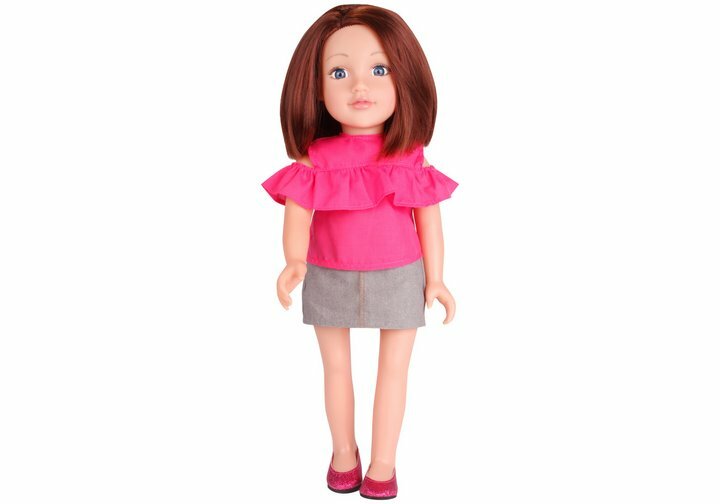 Taking pride in her appearance in a casual way, the Chad Valley Designafriend Keira Doll will make a great addition to your doll collection. Designafriend Keira doll comes dressed ready to hit the town in a casual pink shoulder cut out T-Shirt with pretty frills, paired with a cute grey denim skirt and pink slip on shoes to match the top. Doll comes carefully gift packaged in a boutique style box with soft tissue paper and contains a lovely heart pendant for Designafriend doll charm bracelet, which is also included. Size H46cm. Get money off with April 2019 free Argos voucher codes, see if there's a promo code for the Chad Valley Designafriend Keira Doll product. Argos may be out of stock of this product. To enhance your shopping experience you may also be redirected to a search results page when you click an outbound link.